Bancontact, popularized in Europe, is an easy way to transfer your money, to organizations and accounts like ours. Follow the steps below to make your experience paying for Runescape Gold with Bancontact easier! First, you will need an Android or iOS device. All it takes is downloading the Bancontact app from either the Google Play store, or the App Store. Once you’ve installed the app, follow the registration prompts, and link your preferred cards. Congratulations – you’re now a member of Bancontact! 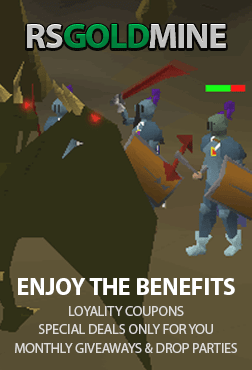 Now it’s time to buy your RS Gold! Now that you’ve sorted out the Bancontact side of things, it’s time to buy your Runescape Gold. Head over to our webpage for buying RS Mills at https://www.rsgoldmine.com/buy-runescape-gold. Once you’re here, you’ll automatically be shown our interface we developed for customers to order RS Sold. Simply choose which type of Runescape Gold you would like (RS3 or OSRS), enter in your desired amount, followed by your Runescape username. Once you’ve entered in those two fields, press the ‘Buy Now’ button at the bottom of the interface (Make sure you double check your details!). Get that app ready, because now it’s time to check out! Almost there! Once you’ve been redirected to the checkout page, find and select Bancontact from all our payment options. After double checking your details (and entering in any promotional codes), click the green ‘Checkout’ button in the bottom right corner. You’ll now be on the Bancontact side of things. Enter in your card details that are required (Don’t worry – this is done with complete anonymity and security! ), and follow any additional prompts that may be required, such as confirmation on the mobile app. Once that’s out of the way, you’re golden! Finally here, we’re excited with you! To get your OSRS Gold, open up our live chat widget at the bottom right of our webpage. Once you’ve done that, you’ll be directed to our team who are as eager to give you your RS07 Gold, as you are to receive your OSRS Mills! Also, they’ll organize a meetup place and time for you. Got anything else on your mind? Hit up our live chat team! Another payment method made easy by RSGoldMine!